Bang and Olufsen E8 ($300): The MW07 has similarly strong build quality and both are as innocuous in the ear as TWS products go. The MW07 has noticeably stronger wireless range which also aids the reliability of their connection in busy areas. The MW07 is smaller overall and more comfortable to my ear due to their soft housings. That said, they don’t isolate or seal (though they are still stable) as well as the E8’s. The E8’S have longer battery life and smaller case but the case offers less recharges. 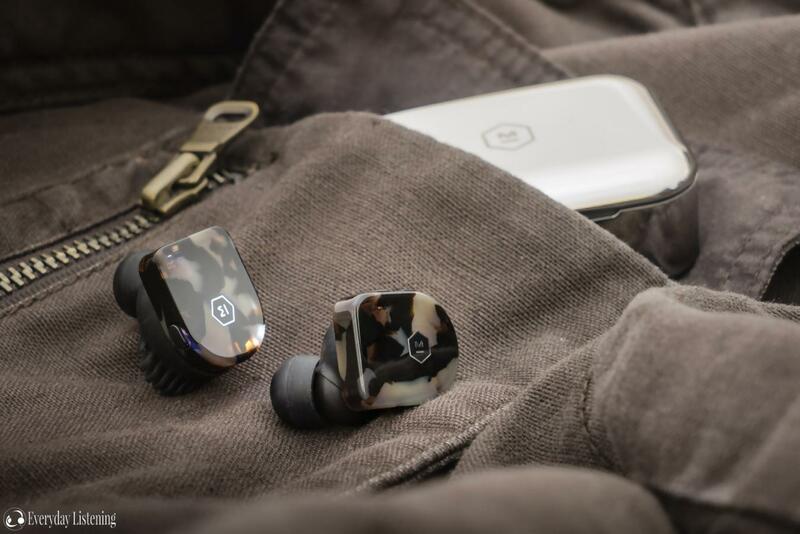 Sonically, the MW07 is more V-shaped while the E8 is more balanced down low but brighter up top. The MW07 has noticeably deeper sub-bass extension in addition to greater sub bass quantity and midbass punch. It has a warmer low end yet it is also more controlled with higher definition. The E8 is more balanced but also has a smoother texture that misses some details. By comparison, the midrange is more even on the E8, having a touch of lower-midrange emphasis that grants it a slight warmth. The MW07 is considerably cooler and slightly clearer. It also has almost as much vocal presence but it isn’t as accurate in terms of voicing, sounding thinner and raspier. Lower treble is more organic on the MW07 and it has more crispness, emphasizing details more. Meanwhile, the E8 has a larger middle treble spike so it sounds more open and a little sharper but also splashier. The MW07 has a cleaner background and a wider soundstage. Both have good but not outstanding imaging. The E8 suits those looking for greater isolation and bass/midrange balance at the cost of bass depth and a somewhat unrefined high end. That said, it can be toned down using the accompanying smartphone app, a luxury not afforded by the MW07. The MW07 is Master and Dynamic’s cleanest sound yet, delivering big bass set to crisp treble, all the while maintaining clear vocals. They have an ergonomic form factor aided by their unorthodox silicone covered housings and some of the best build quality I’ve experienced from a true wireless earphone. This positive impression is reaffirmed by a stable fit, making them suitable for active use, and simple, reliable controls that are perfect for daily use. A more noise isolating design would enhance their versatility as would a smartphone app. However, their bassy tuning does ensure a rich audio experience even in louder environments and the earphones sound great. They connect reliably and offer ample range. In a market bustling with futuristic, almost over-designed products, the MW07 delivers a simple yet focussed approach that ends up being just as usable and ever more practical. See new colour configurations on Master & Dynamic’s website here!